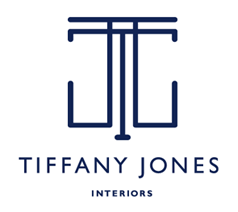 Tiffany Jones Interiors : Design Inspirations :: TARTAN! 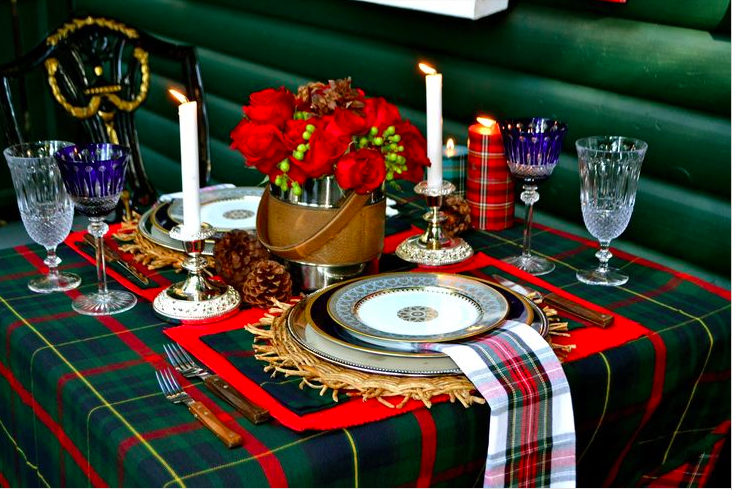 One of my favorite things to use in decorating at the holidays is TARTAN! 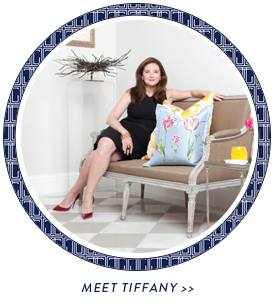 I am so in love with this pattern, it even has a Pinterest board all to itself on my page! 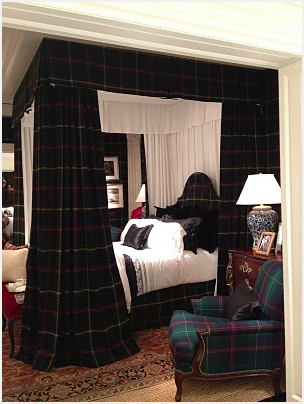 There is something about it that is so cozy and warm... elegant yet rustic at the same time.... a true classic, if you will. 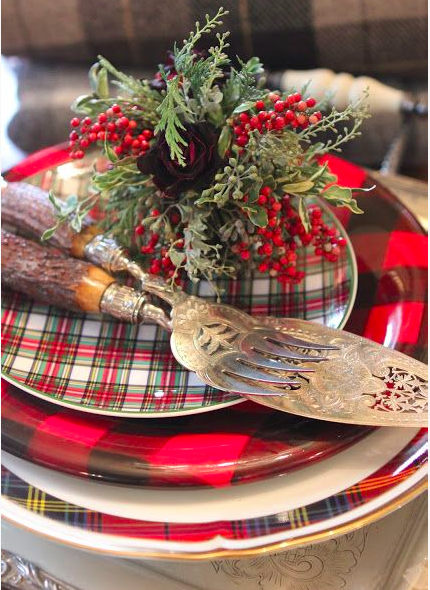 According to the Scottish Tartan Museum....Tartan refers to the pattern of interlocking stripes, running in both the warp and weft in the cloth (horizontal and vertical), or any representation of such a woven design in other media (printed, painted, or otherwise rendered). 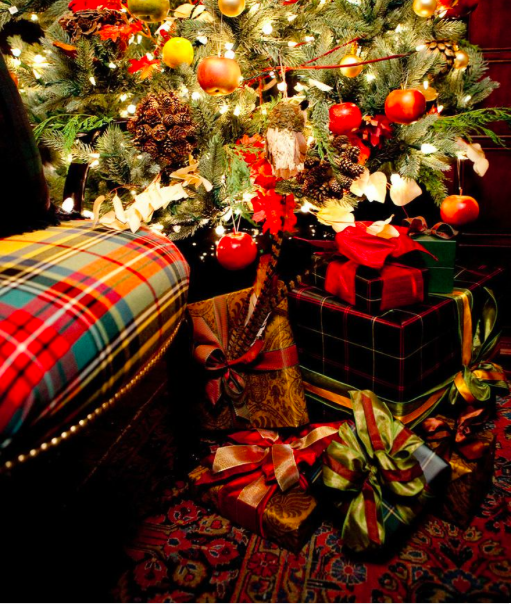 Tartan has been around since before 3000 BC. Who knew?! 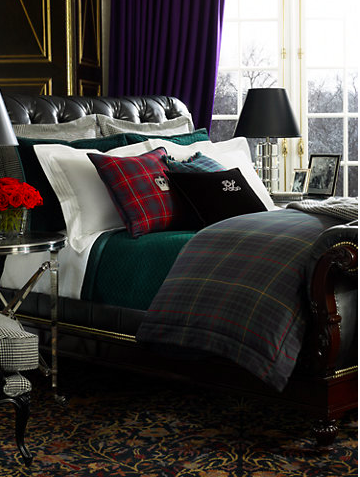 However, the real popularity of the Tartan took off in the 17th century in the Scottish Highlands. 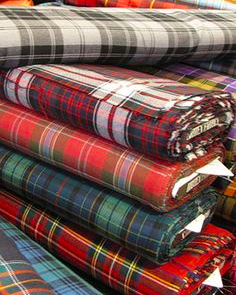 Though clan tartans are the most well known, tartans can represent many different things. 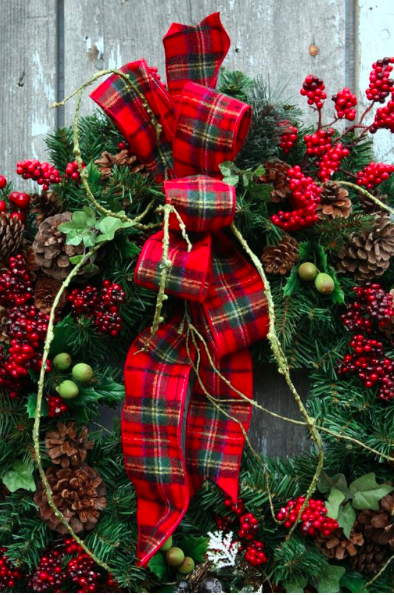 Some tartans represent families, towns, district, corporations, individuals, events -- you name it! 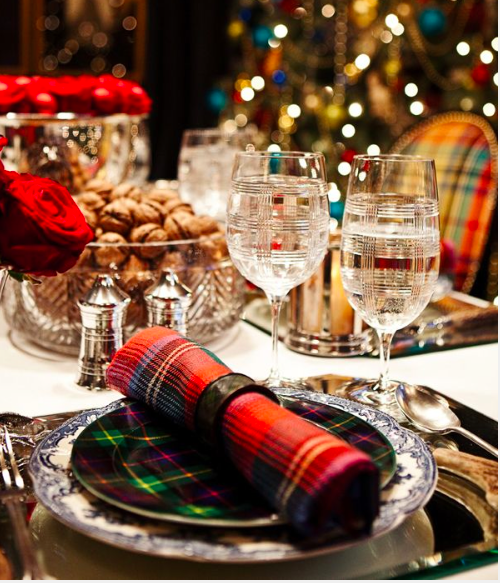 What makes a tartan "official" or "authentic" is not age or antiquity, but whether it has the approval of the governing body of what that tartan represents. 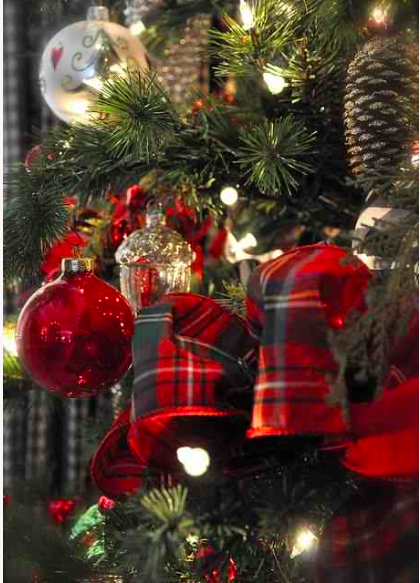 I love the beauty of this pattern in every possible color and form! 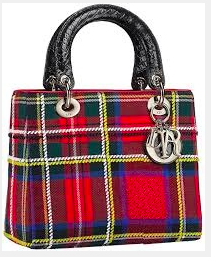 Textiles...dishes... A tartan Dior handbag??! PURE HEAVEN! I think I will put this one on my Christmas List! !